The health disparities between American Indians and the rest of the United States population are stark. American Indians are 50 percent more likely than others to have a substance use disorder, 60 percent more likely to commit suicide, twice as likely to smoke, twice as likely to die during childbirth, three times more likely to die from diabetes and five times more likely to die from tuberculosis. 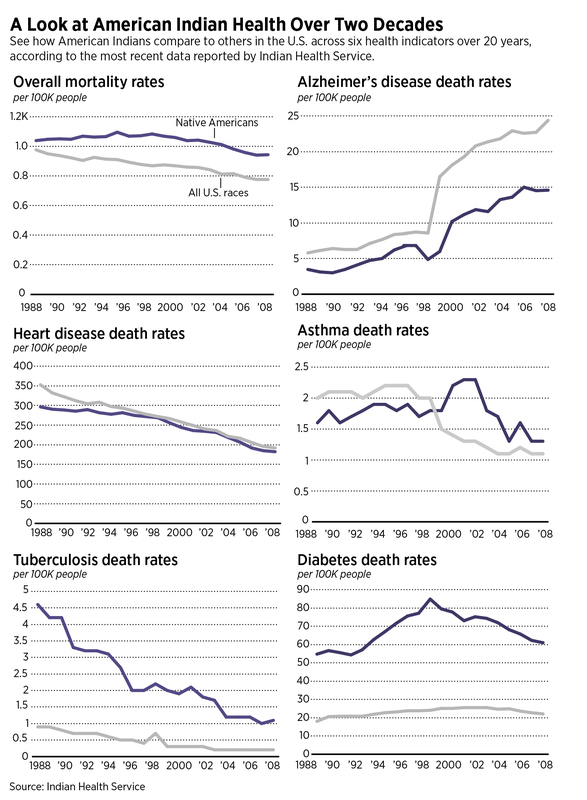 They die on average five years sooner than other Americans. The Trump administration has pledged to make tribal health care systems more effective. During one of his confirmation hearings, new Health and Human Services Secretary Alex Azar told senators the administration would welcome opportunities to improve the $5 billion Indian Health Service, which provides care for 2.2 million American Indians. “It’s unacceptable for us to not be providing high-quality service,” Azar said. In its latest plan, the administration seems to acknowledge the need for more resources. After calling for a $300 million cut for the Indian Health Service in the president’s inaugural budget proposal for 2018, the administration reversed course a year later, aided by a two-year budget deal with more generous spending caps. The White House asked Congress to provide about $3.8 billion in special one-time funding for the health service’s facility maintenance and construction projects. For fiscal 2019, the administration is proposing an overall budget increase from around $5 billion to $5.4 billion, with most of that extra money going toward general health services, opioid abuse and diabetes. Such a boost will likely please lawmakers with tribal constituencies, but they will still view it as far short of what’s needed for a chronically underfunded agency. Limited resources have for years been an obstacle. That report was from 1928 and was written by the Institute for Government Research, the precursor to the Brookings Institution. But when it was cited by an HHS inspector general report nearly 90 years later, every word still rang true. 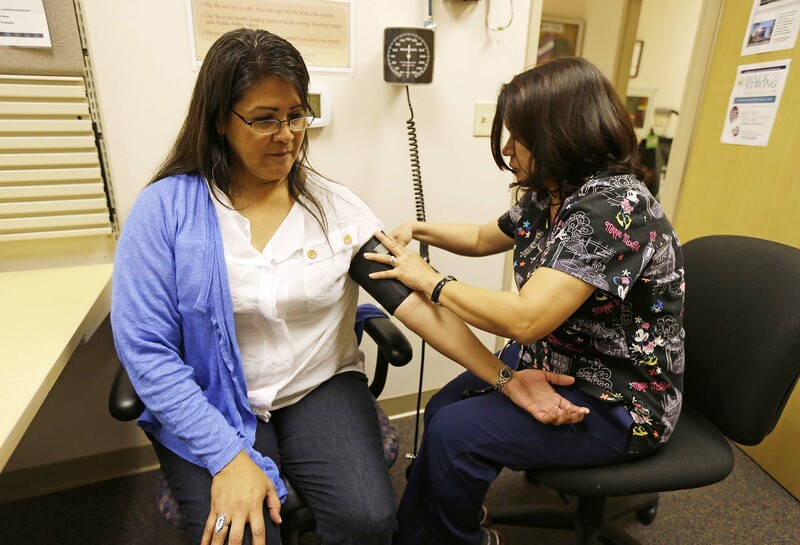 Health care for American Indians remains plagued by seemingly intractable problems: underfunding, quality deficiencies, a lack of agency leadership and inattention in Washington. A leading House appropriator is calling on his colleagues to break the historical paralysis and move aggressively to improve IHS, but it’s unclear how much Congress can do to improve care. As tribal health advocates wait to see what happens with the rest of 2018’s funding and the appropriations for 2019, the leadership of the Indian Health Service also faces an uncertain future. On Feb. 21, the administration said its pick to lead IHS was no longer in the running for the job. Robert Weaver, a health insurance consultant with ties to Oklahoma’s Quapaw tribe, was nominated for director in October. But he was dogged by questions about whether he was qualified to lead an agency whose leaders typically have backgrounds in medicine or hospital administration, and his chances of winning Senate confirmation seemed troubled. To some, the controversy over Weaver’s qualifications missed the point. “Whoever comes in there, you can’t expect them to be a miracle worker. They have to have more money,” said Rep. Tom Cole, an Oklahoma Republican and member of the state’s Chickasaw Nation who oversees most discretionary federal health spending on the House Appropriations Committee. “They cannot solve these problems on the budget they have now,” he said. Lawmakers who oversee the Indian Health Service, who are mostly from states with a large population of American Indians, uniformly agree that the agency has serious problems. Lisa Murkowski, the Alaska Republican who oversees funding for IHS on the Senate Appropriations Committee, said that its hospitals are “severely troubled,” and that she’s been “singularly unimpressed” with its leaders. The House Energy and Commerce Committee has launched a task force to examine the service, which is being led by Mullin and California Democrat Raul Ruiz. While the task force has held 25 meetings since it was launched in May 2017, its members are still in a fact-finding mode to better understand the issues facing the agency, according to a committee spokeswoman. Other legislators are pitching more concrete proposals. Some think that IHS needs direct hire authority, more competitive pay scales and expanded loan repayment programs. Republican bills in the Senate and House would do that, plus address concerns about low-performing staff by giving the service the ability to terminate employment more easily. Committees in both chambers have held hearings on the bills. But it’s unclear whether they will find room on the legislative calendar. Several high-profile instances in recent years encapsulate the health service’s problems. Inspectors from the Centers for Medicare and Medicaid Services have found violations so severe in four hospitals that they were threatened with a loss of Medicare reimbursement. At the Rosebud IHS hospital in South Dakota in 2015, inspectors said that a baby was born in a bathroom. In another case, it took 90 minutes for a heart attack victim to receive care. The emergency room was closed for about six months, but the hospital and CMS eventually reached an agreement on how to make improvements. Only one hospital was eventually booted from Medicare. In two separate inspection periods during July and October 2017, CMS officials witnessed repeated deficiencies in the emergency room at the Indian Health Service’s hospital in Pine Ridge, South Dakota. In one instance, the inspectors said a nurse who was assessing newly arrived patients failed to take the blood glucose levels of a diabetic man who had gone two or three days without insulin. It took nearly two hours before he received a more thorough examination, which found his glucose levels severe enough to cause organ damage and other life-threatening conditions. And it was several more hours before the staff transferred him to another hospital with an intensive care unit, which sent him to yet another hospital. The next day, he died after surgery to treat a severely damaged small intestine. In a response to CMS, the health service argued that treatment was provided in a more timely manner than the inspectors had alleged. IHS officials said the patient had improved during the few hours he spent at Pine Ridge, and didn’t succumb until the next day, at another medical center. “It is not possible to draw a direct conclusion from the care received at Pine Ridge Hospital to the patient’s ultimate outcome,” Michael E. Toedt, the health service’s chief medical officer, said in a letter to CMS. Regardless, in November CMS notified IHS that it would no longer pay for acute care services provided to Medicare beneficiaries at the Pine Ridge hospital. While Medicare payments don’t make up a huge portion of the health service’s budget — about $249 million of the $1.2 billion total that IHS brings in from insurance reimbursement — the termination was still an embarrassing blow. To be sure, over the past decade, the Indian Health Service’s budget has increased overall, although not to the level advocates want. Its congressional appropriation climbed from $4.1 billion in fiscal 2009 to just over $5 billion in 2017. On top of that, IHS gets money from private insurance, Medicare, Medicaid or those covered by veterans’ programs. That accounted for another $1.2 billion in recent years. IHS supporters think it could be many times higher. The National Indian Health Board estimates the 2019 budget should be $6.4 billion, but that in total it needs a $32 billion budget they think can be phased in over 12 years. Ron Shaw, the president of the Association of American Indian Physicians, compared the amount spent on Indian health to Medicare and Medicaid, which respectively spend nearly $11,000 per beneficiary annually and about $5,700, respectively, according to the nonpartisan Kaiser Family Foundation. IHS spent about $3,700 per patient in 2015. The most frequent problem attributed to the funding shortfall is staffing shortages. 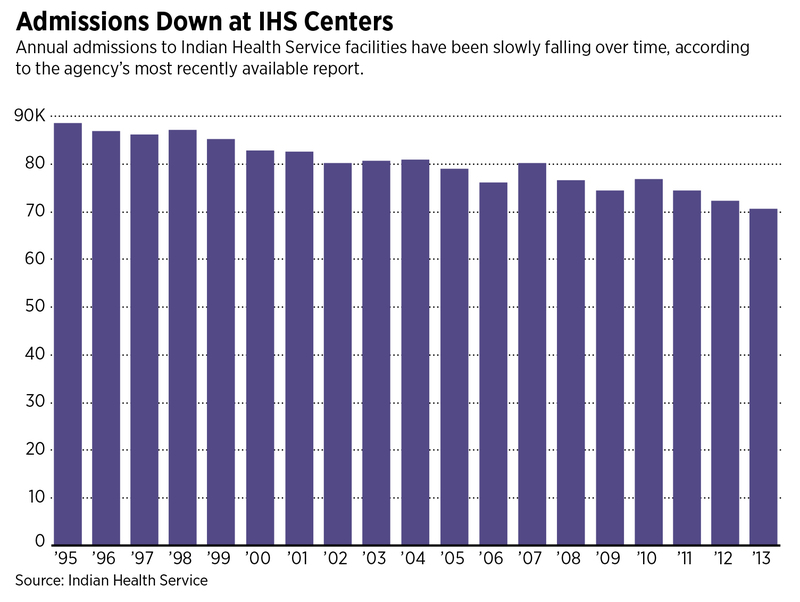 IHS runs or funds 46 hospitals, most of which have fewer than 50 beds. Across all of its facilities, IHS has about 15,000 employees, including 2,600 nurses, 725 physicians, 698 pharmacists, 272 dentists and 115 physician assistants. There are about 20 percent too few doctors and nurses compared to what IHS would like, the agency says. Since the hospitals tend to be in remote areas, recruiting health professionals is a challenge. “In some of the less popular places you have no permanence, so your workforce is composed of temporary contractors who come for three to six months then they go,” Shaw said. The hospitals have a relatively low amount of patient traffic, but that is hardly any comfort to IHS leaders. According to the OIG report, each hospital had an average of eight daily inpatients, compared to 104 at hospitals nationwide. Because most of the service’s physicians are trained in primary care or family practice, the service must contract out most of its specialty care. But Congress has provided enough money for IHS to cover only about two-thirds of these referrals, forcing IHS to ration care for the most urgent, life-threatening needs. The approximately $914 million spent on these referrals in 2016 fell about $372 million short of what was needed, resulting in a denial of about 80,000 service requests for procedures considered less urgent, like mammograms or joint replacements. Despite the acknowledgement of this shortfall in the administration’s budget proposals, it’s only requested $955 million for 2019. On top of that, the agency’s facilities, which on average are about four times older than facilities in the private health care sector, need about $500 million in repairs. The inspector general found one hospital where an aging structure “caused sewage to leak into the operating room after its old pipes corroded.” The administration did ask for that amount as part of the billions in its funding request for the second half of 2018. 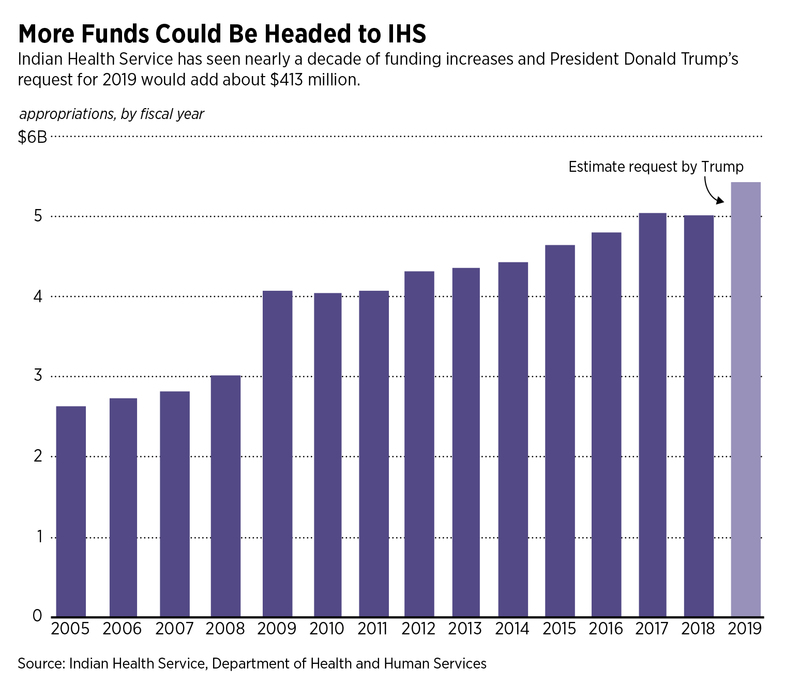 While an IHS official said at a hearing last year that a facility built in 2016 wouldn’t be replaced for another 400 years on average, if Congress provides that one-time funding boost, it could alleviate the strain. The Government Accountability Office has made a variety of recommendations for IHS and HHS to carry out, such as developing succession plans for replacing key personnel, establishing agency-wide standards for patient wait times and collecting more accurate data to better inform how much it needs for contracted services. IHS has implemented some recommendations, such as attempting better data collection, and developing plans to improve organization and ensure patient safety. It has also reached agreements with CMS to improve the services at some of the the South Dakota hospitals that were at risk of losing accreditation. But GAO says that dozens of recommendations are still outstanding. Cole argues that the most important thing is providing the health service with more money. Even though the Indian Health Service is part of HHS, many tribal issues have traditionally been handled by the Interior Department, so IHS funding is controlled by the Appropriations subcommittee that deals with Interior and the Environmental Protection Agency. Cole’s subcommittee gets to divvy up about $154 billion for most of HHS, plus the Education and Labor departments. That allocation will likely go up significantly thanks to the spending deal. The Interior subcommittee only has about $31 billion to work with. Cole sees two ways to fix the problem. If the Indian Health Service can be brought under his jurisdiction, he would have more money to transfer into IHS accounts. That would require all of the relevant subcommittee chairmen to agree, which might be easier said than done. It would also mean that money for Indian health might come at the expense of other health programs, whose advocates fight very hard against cuts. The other option, Cole said, is to turn the Indian Health Service into a program with mandatory funding, similar to Medicare and Medicaid. But Cole admits that shifting anything over to the mandatory side of the ledger would be a heavy lift in a Republican-controlled Congress where entitlement programs are already threatened with cuts or reductions in their growth levels. “I normally oppose taking discretionary programs and putting them in mandatory spending, too. 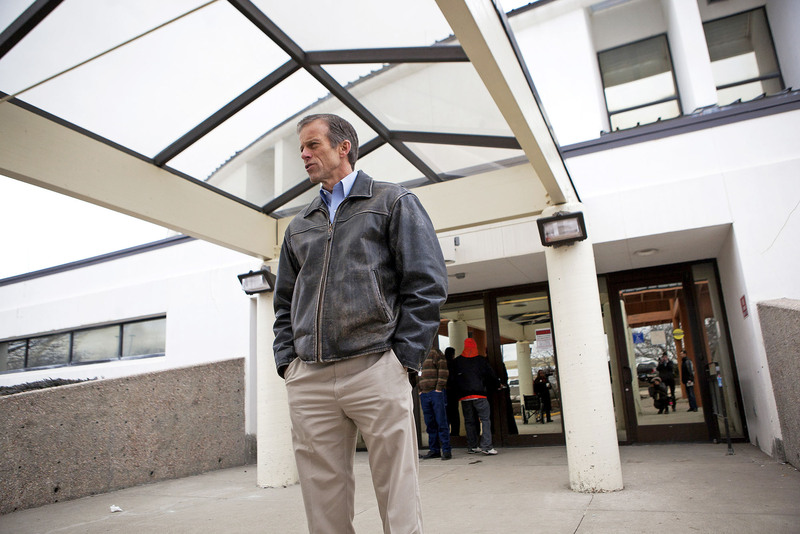 But in this case, it’s so underfunded compared to any other kind of health care,” he said.